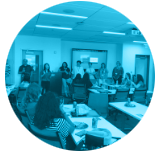 Women Tech Council in partnership with Peak Ventures launched the Tech Entrepreneur Apprenticeship program in 2018. This four-week program for high school juniors and seniors teaches technology and entrepreneurship skills from industry entrepreneurs and leaders and provides hands-on experiences in careers that align with student interests, ultimately beginning students on a path to enter and lead the technology workforce and pursue their passions. For more information, visit the Women Tech Council. The Women Tech Council (WTC) apprenticeship and internship programs provide high school girls the opportunity to interact with technology companies, meet and interact with women in technology and understand the impact they can have by pursuing STEM careers. 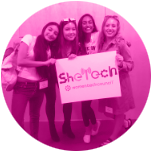 These programs are an extension of WTC’s SheTech, a program designed to activate, engage and inspire high school girls to pursue STEM fields and careers through hands-on experience and mentoring with industry experts. 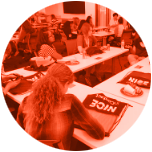 The apprenticeship program expounds upon SheTech by providing deep engagement between girls and tech companies before they finish high school, increasing the likelihood they will choose to pursue a STEM degree. 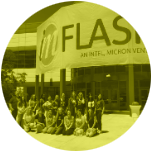 In the last year, more than 2,000 high school girls have participated in SheTech. Research shows 90% of these girls are more likely to pursue STEM fields.